Deep-space scans have detected an armada of unknown origin approaching Delta V. A single transmission was received before the ships disappeared from view, “I am Kaiser Saeva Lionhart, and I am coming to claim what is mine!” Saeva Lionhart and his forces are ready to take control of Delta V even if it means annihilating the existing population! In addition to an army of elite soldiers, Saeva is bringing his most powerful lieutenants, his children Immanence and Transcendance. 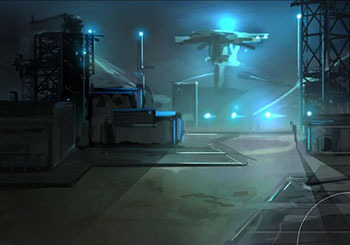 Once again, Legion and Exile forces will need to unite to protect Delta V from this otherworldly army. This Friday, June 6 at "When It's Ready O-clock", prepare for the dawn of the Lionhart Saga! This highly anticipated release will prominently feature artwork from Revontheus, the architect for many aspects of the release. If you enjoy it, be sure to thank him! Before the full force of Lionhart’s army arrives on Delta V, you’ll have the opportunity to experiment with Saeva’s technology firsthand! 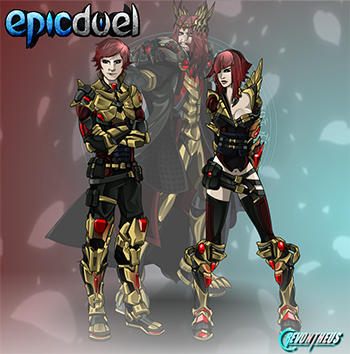 Lionhart’s Avatar Bots (P and E), Lionhart’s Carnage (Physical mutating primary), and Lionhart’s Knowledge (Energy mutating primary) will be available for a limited time with the 10,000 Varium package. 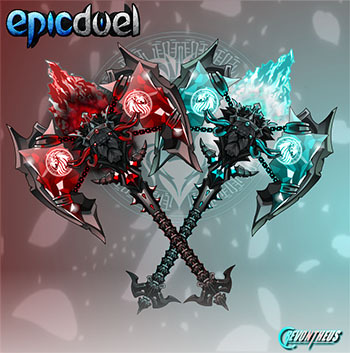 This incredible package includes 4 powerful weapons of destruction to help you defeat your foes and repel the invading forces. 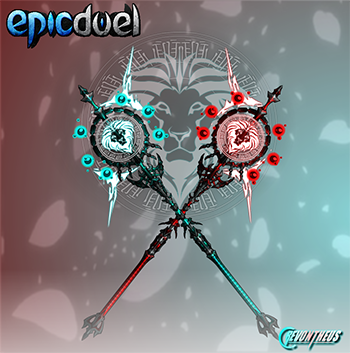 These weapons will include a permanent active core Lionhart’s Shield. This defensive core allow you to encase your or your partner in a crystalline prism that prevents enemies from attacking. It literally makes the target untargetable and immune to any debuffs or attacks. This brief reprieve from damage allows you or your ally to deny your opponents from inflicting damage for a turn and forces a change of strategy. It is not possible to heal or buff an ally if they have this shield enabled. 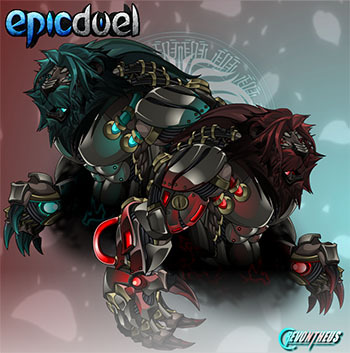 Lionhart’s Avatar Bots include two potent skills, Lionhart’s Claws, a devastating slashing attack, and Lionhart’s Roar, a special ability to unleashes a deafening roar that buffs the Rage of you and your ally. That's right, this new ability will be the first AOE buff. 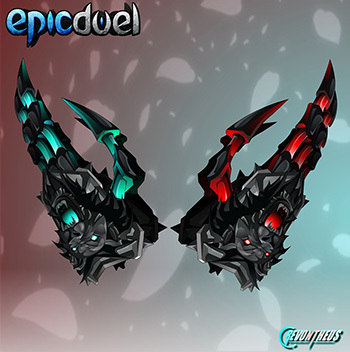 These amazing items are just a taste of the amazing assortment of weapons and armors that will be available in game as prizes, mission rewards, drops, and items sold at merchants. These weapons and bots will be available for a limited time through the Varium shop and at the Lionhart Soldier merchant for Varium! 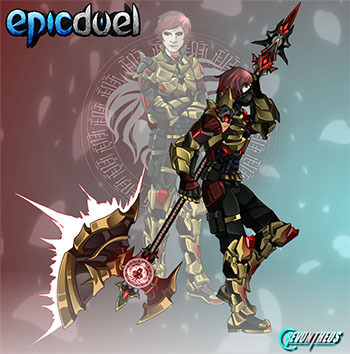 To make room for this new package, the Black Abyss and Blood Hawk packages will be leaving permanently. The Black Abyss Bots will be located in the Black Abyss Cache with the other Black Abyss items. Because this new event is bringing focus to the Overlord Facility, this long-forgotten region is receiving a major overhaul. Charfade is working her painterly magic on the facility, creating the haunting, imposing military installation it was always meant to be. Be sure to explore the screens and experience the revamped region for yourself. There will be many more friends and foes to challenge here! Since it was first introduced, Rage has been a mystery to many players. You only see your Rage on your turn; the Rage of your opponents and allies remains a mystery until the attack is finally unleashed. You also have no idea how much Rage you accumulate from your attacks or from damage you receive. In this Friday’s update, you’ll finally be able to see your Rage and the Rage of your opponents throughout the entire battle. The familiar Rage bar will still appear on your turn, but you’ll also have a permanent Rage bar with the rest of your vitals. Lately, we've been seeing more and more people abusing Fame. This is unfortunate as the feature has not served the purpose we originally intended. Our plan to address this issue is to remove Fame from the character page to an in-game system. Since our plate already overflows with Lionhart content, we may not have time make the transition this week. We apologize that fixing this has not been a priority, but we believe that moving this feature in-game will greatly reduce the amount of Fame harassment and exploitation to make it the fun and engaging system we always hoped it would be.